Something a bit fruity for you today. 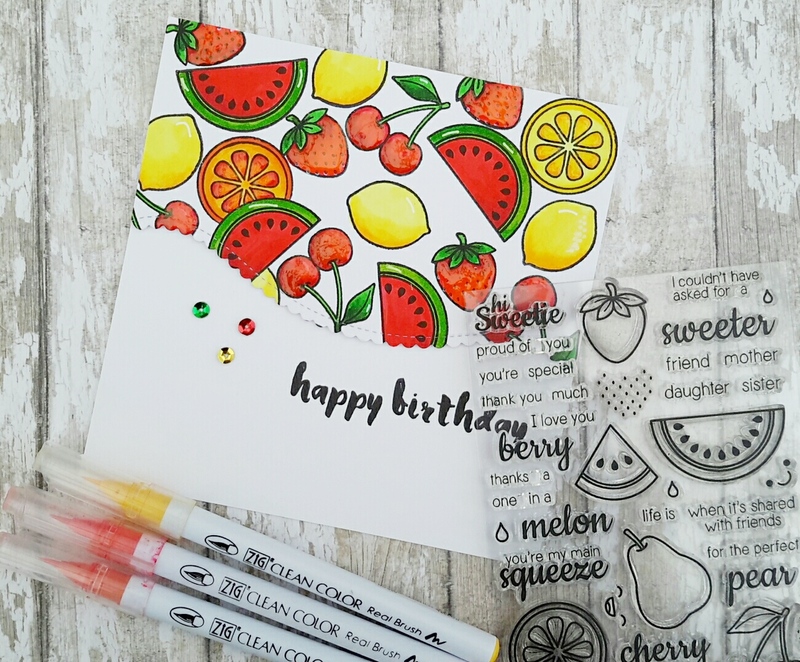 This is a great stamp set from Sunny Studio called 'Fresh & Fruity' and it screamed out to be coloured in bright, zingy colours. 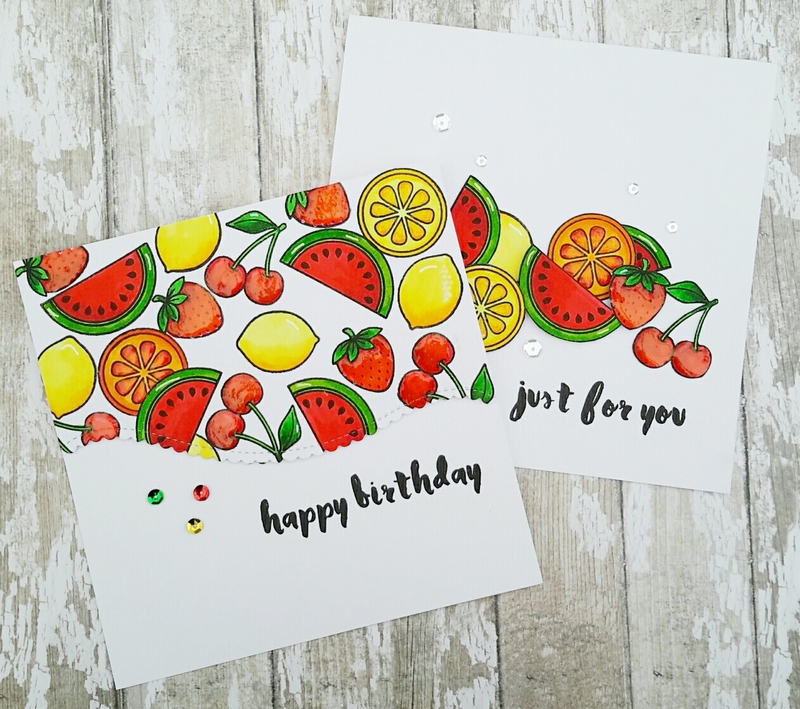 I was originally going to make 2 identical cards using the other half but then I decided to cut out the fruits from the other bit and create a fruity scene instead. I painted Glossy Accents on all of the fruits and added some sequins (gotta have sequins). The sentiments are from Altenew's 'Painted Greetings'. 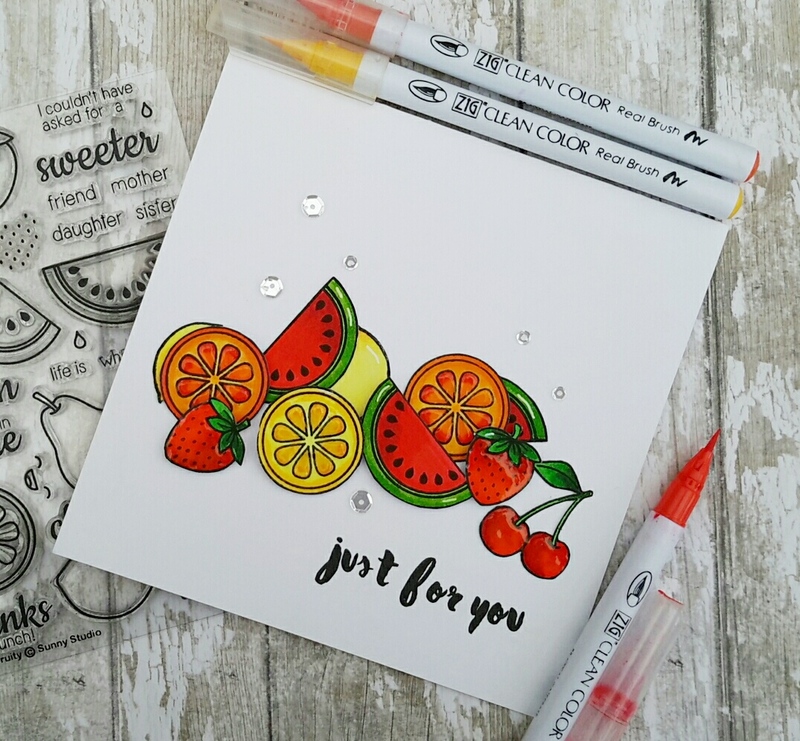 Gorgeous zesty colours Jane..love the friut stamps and your card designs along with more perfectly placed sequins.The glossy accents works really well and gives them that juicy look.